Last month a friend sent me an email he had received from a United Kingdom visitor in response to the DVD he had sent her entitled, The South African Conservation Success Story, which portrays the empirically established reasons behind the growth in wildlife and wildlife habitat in the country over the last 60 years or so. He had met her on a game ranch and, over dinner, while avidly consuming the venison on offer, she had been very critical of trophy hunting. However, as she seemed to know little or nothing about hunting, in general, he found it difficult to engage with her and so sent her the above prize winning documentary – it was awarded the Environmental Prize by the prestigious European body, CIC – The International Council for Game and Wildlife Conservation in 2012 – in the hopes it might provide a basis for a more rational conversation other than her repeated accusations that trophy hunters killed purely for thrills and to boast about them. Great to hear from you and thanks for getting in touch. Ah yes! A very pretty and well made DVD. But no it didn’t make me understand why anyone would want to hunt! Because H this is my point. Look at this pic of these two hunters … they have shot this beautiful animal because it gives them a thrill. But why is killing something thrilling?? Hunters are not shooting animals thinking Yay I am really helping here toward sustainability … they are shooting animals because it feeds their ego. One moment you are looking at a beautiful creature and the next thing its dead. All the beauty has gone out of it. eyes are clouded, tongue is lolling … Why does that make anyone feel good? Its killing for killing sake. Ah! if you are hungry, or have to feed a family or turn its pelt into something to wear. That is different. No its killed because it feeds an ego, it can be added to a list and it can put on the wall as a trophy. Look at me! Whoever thought a dead animal looks good on a wall? My elephant, my rhino, my buffalo, my polar bear, my leopard, my cheetah, my grizzly bear, my curly horned whats it and so on … its all about ego. And yet, and yet if you said to me … I’m going out today to shoot an impala so we can have a lovely braai tonight. I would be so happy. That organic buck, would have had a free range life and then in a nano second H the perfect shot – would shoot it and we would all enjoy the meat and also feed our neighbours etc etc. All I am saying is…have you ever for one moment stopped in your tracks and asked yourself the question … ‘What am I doing? And why am I doing this? We don’t have much game here … deer stalking, pheasant shoots … they feed the pheasants, breed the pheasants, then scoot them into the air so you can show off your gun skills … it just doesn’t make sense to me. H turned to me in the hopes that I might write a suitable and detailed reply to her believing, incorrectly as it turned out, that I might be able to produce an erudite and persuasive reply which would make her see reason. He knew that, over the years, I had on many occasions debated with anti-hunters and animal rightists with differing measures of success. In due course I started off down my usual rational route until, suddenly, a switch was turned in my brain and I thought to myself, “Why am I doing this? Why am I explaining something to a person who is determined NOT to understand. In fact, does not want to understand why ethical and legal hunting on a fair chase and sustainable basis of free range wildlife is so critical for the long-term conservation of wildlife and wildlife habitat in Africa. I had suddenly become sick and tired of defending hunting and dealing, for the most part, with subjective, emotional urbanites and their Western, academically inspired, politically correct, preconceived ideas and prejudices and wrote her an explicit e-mail explaining in words of one syllable why most of us hunted and explaining the effects her attitude would have if it was ever widely adopted and hunting were to be stopped on this continent. I thought I might reproduce this letter on my blog but, before doing so, sent it to my 37 year old son to read. 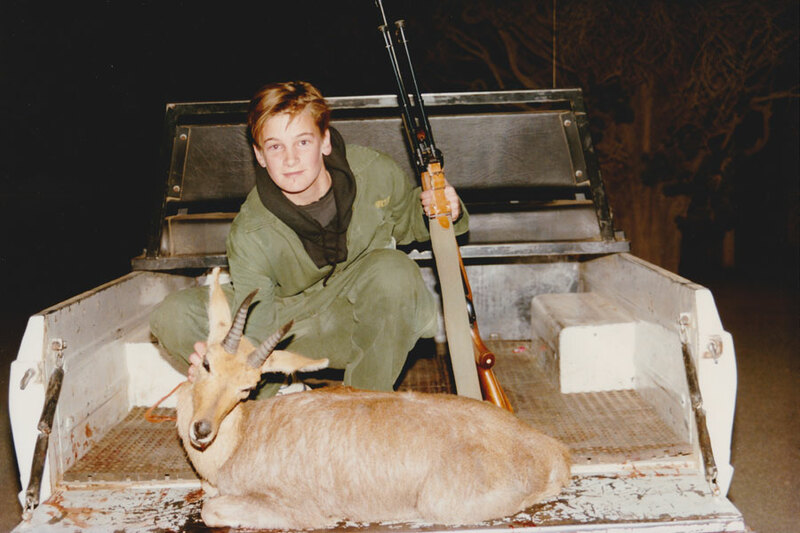 Richard has grown up in a hunting household and spent many of his formative years on our game ranch where he would hunt occasionally to supply venison for our needs or to take one of his friends out hunting. 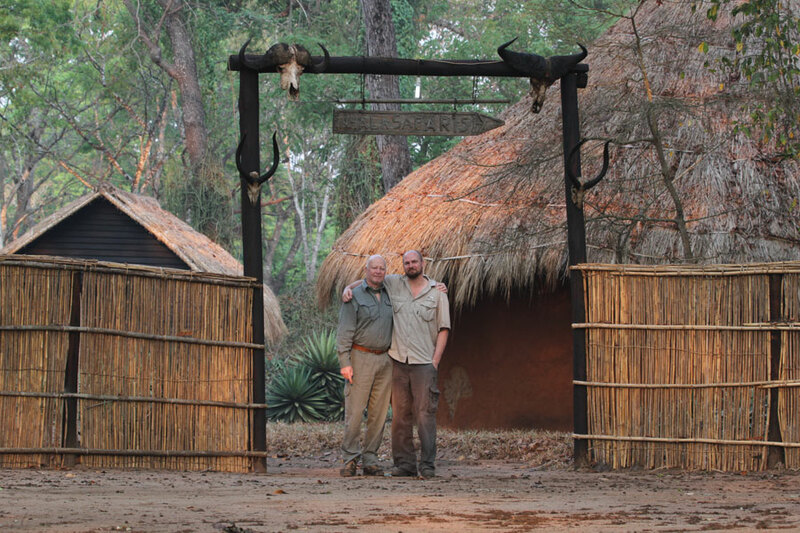 He has come on hunts with me to Ethiopia, Mozambique and Zimbabwe and is about to join me on a Lord Derby’s eland hunt in Cameroon but Richie no longer hunts and has not done so for years. 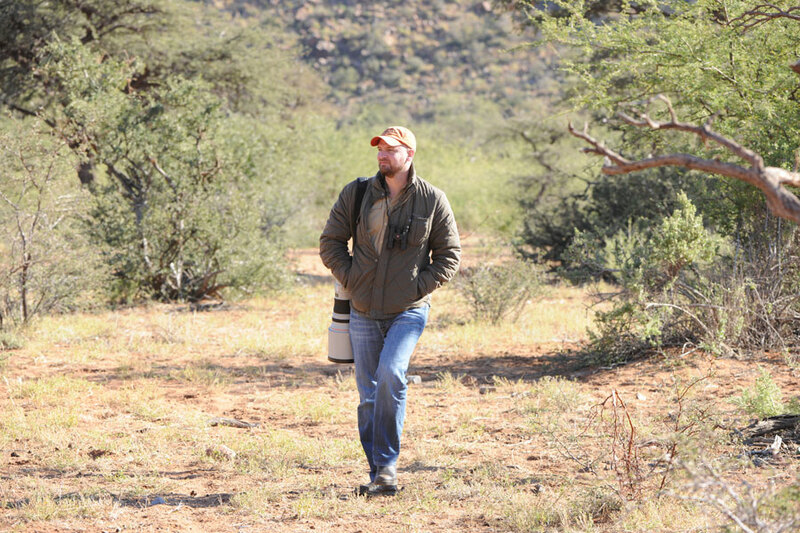 He is as passionate, if not obsessive, about birds – it must run in the family – as I am about hunting and, for those of you who may doubt this last statement, I would urge you to visit his website, www.theflacks.co.za. Most of the birders I meet are mature people who love nature. They understand hunting. They get it. They just do not like the egos and competitiveness some hunters clearly suffer from and that appears to be driven and encouraged by some hunting associations like SCI with all their different awards. They understand that trophy hunting is OK because it is the older animals, out of the breeding cycle, that are shot and this provides money to the landowner, which allows him to keep operating his game ranch and providing suitable habitat for a whole variety of wildlife, both big and small, furry and feathered, and many of which are never hunted. They see that hunting has its place but what they do not like are the egos and the competitiveness. 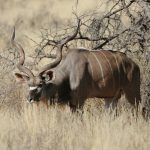 Those who say they are hunting old animals out of the breeding cycle but, when you look at the photographs, you see they have shot a young, breeding bull with long horns that have not had time to wear down. And, of course, there are some serious arseholes out there, just like we find amongst us birders, who give hunting a bad name. So, they are not against hunting in totality, just the bad part of it. To my mind, there are the hunters (and I think I have addressed what many people find unacceptable about them bar one, which I will tackle a few points down) but then there are also the PHs and the landowners. As much as hunters can look to be held to a higher standard, at the end of the day the PHs and landowners decide who gets to hunt and what gets shot. There is a real need for these guys to be held to a higher standard, and for ethical hunters to boycott those who do not. Landowners have the power to force hunters to shoot on a range and show their skill before entering the field, for example. They get to decide which animals get shot (old vs young). This can make a big difference in changing perception. I am not sure you can have beer swigging, egotistical, unethical, competitive hunters hunting on the same land with the same PH as unashamedly ethical, conservation first hunters, as I am concerned you will get painted with the same brush. Now for the more difficult one (and I am just going to say it). I feel there are some animals that attract far more emotion than others. And somehow more care or consideration needs to go into hunting these than others e.g. leopard, lion, elephant. Ideally, if I was a hunter, I would just stay clear of these and see it as my conservation duty to pay for their culling and conservation. But that is me. Please don’t get me wrong … this is not because I have a problem with them being hunted. Personally, I would not want to hunt them but this is not about subjective judgement calls… at the end of the day, as a landowner, I would be happy to take on any hunters for whatever animals as long as they abided by my ethics/standards/rules, as the economic benefit takes precedence over what I personally like or do not like. That said, I reckon 95% of all emotive pictures and anti-hunter/animal rightist PR campaigns have one or more of these animals at the forefront and I feel that more care/thinking needs to be taken/done in this regard. I obviously do not have all the answers but a few questions to ponder … are there ways to make hunting more bearable for the more emotive conservationists out there? Is there a way to prove that game would die from starvation or old age if it was not hunted? Is there a way to ensure that quotas are abided by? On the radical side, you could create an auction platform e.g. anti-hunters/animal rightists can buy the lion for the cost of the hunt? In other words, put your money where your mouth is or allow a hunter to take up the quota. This would create quite an interesting market/conservation platform. Technology could do amazing things in this regard … discussion for another day. My son’s calm and rational comments reinforced thoughts that had been going through my own mind for some time. We needed to establish an unashamedly ethical hunting association which had it as its main goal the promotion of ethical and legal hunting of free range game on a fair chase and sustainable basis on properties where the landowners shared our values. We needed to promote the benefits of hunting, on the one hand, and come out strongly against the practices of the unethical and illegal few whose egos and competitiveness were damaging the image of hunting and, therefore, the very crucial conservation which it supports. We also needed to stop debating with those anti-hunters and animal rightists who are never going to change and focus on the vast number of undecided people who, every day, join the ranks of the academically inspired, politically correct, if only because they do not see or hear any alternative views because the anti-hunters and animal rightist, in turn, are so adept and spend so much time, effort and money publicizing the deeds of the competitive egos and downright illegal, bad people out there who masquerade as hunters. Fortunately, the formation of the Fair Chase Guild is well underway and should be formed in the next month under the auspices of SA Hunters which, with some 40 000 members, is as big as and probably more effective than all the other hunting and conservation associations in Africa combined. The Guild will have as its main focus the promotion of unashamedly ethical hunting and the benefits it brings to conservation. Thank you for your honest and rational contribution to ” a lifestyle and passion for the veld and animals” that critics with zero practical experience will never have a true experience of and is therfore unable to comprehend. the great experience and privilege of a Fair Chase. Peter we must not apologise for our pursuit of game animals. Simply look at the Maasai whose sport is to boast manhood. Hunting has evolved and in some sectors it seemingly has lost its sense but even here if you dig deep enough you will find its roots. 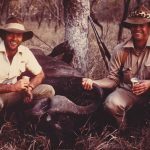 Safari Hunting is almost wholly responsible for the protection of vast ecosystems remaining in Africa and these concessions are the last strongholds for the game. We in the field should be applauded and encouraged. I welcome any association whose agenda is to promote the traditions of hunting and its role in conservation today. I have, even in my younger days (I am now on the “wrong” side of sixty) always experienced conflicting feelings to varying degrees: loving hunting; not so fond of killing something. Being a hunter, not a killer. I tried to put some of this paradox in the poem below (in Afrikaans, my mother tongue.) Most of the hunters I know, at least those who are my friends, feel similarly. Thanks for your thoughts, guidance, example, books and articles. Been a long-time follower and fan of yours. Well said Peter. If we don”t educate the younger generation on the truth, hunting as we know it will be a thing of the past. I agree. I fully agree. And I agree a bit with the lady that started this article. I struggle mightily with the focus of some hunters on inches or Rings of Honor or Grand Slams or Pinnacle of Whatever. I have no issue with being motivated to hunt a variety of species while getting/gaining a variety of experiences. That is one of the reasons I like to hunt – to experience things I cannot experience sitting at my office in Oklahoma City working on oil wells. What I detest is the pursuit of “participation trophies/awards” to feed an ego or to show the non-caring world what “I killed and how big it was”. I realize that SCI and other groups are not solely about “trophies” or top 10 whatevers. I get it. Some are about conservation. But what exactly is “conservaton”? I ask myself that question often. I believe that your son has come to his own definition as shown by his actions and what really matters to him. At times, I wish hunting was less consumptive, that the animal did not have to die to my hands. This is a bit like a great soccer or rugby match that could end in a tie but we usually need a clear “victor”. Hunting is a bit that way. My son chased the same sable for four days before killing it. The shot was anti-climatic but the hunt needed to end…. I still haven’t fully answered my own internal questions and struggles – however, I continue to hunt and find great challenge in it. Much like chasing eland……I actually hate to catch up to that blue bull, but that is why I am chasing him…. On convincing the “anti”. You can’t and won’t. The change has to come from within – much like our faith in God. You can’t change the other person. You can tell them. You can tell them facts. You can tell them logic. But unless they choose to believe or at least look – it is a lost cause. On your son’s comment, they won’t put their money out there – they are not as committed as the hunter. When I see an “anti” buy a lion in Bubye conservancy and then not hunt it – I will believe they are committed. But they are not. In the end, conservation is about the entire action and belief that wildlife can be managed for it’s own good and our good. But when in doubt, we manage wildlife for their own good because in the end, we need to be the stewards of the resources in front of us. That means killing some, protecting many and living/hunting by an ethical example so that a potentially open minded or teachable “anti” will see what we are doing and not so much what we are saying – and then maybe, just maybe decide to change…..
Press on with the Fair Chase Guild. Sign me up! Very well done and of great interest. Please send us the information on the Fair Chase Guild and we would be very please to give it a plug on our Website. Much thanks to Mr. Flack for sending this information out to us. Mr. Flack again is the bright light of African Conservation..
i believe that to defend or argue is in fact a waste of all our time. i was born ,grew up and now am a traditional ruler in the lunda tribe of northwestern zambia. I think most people miss the point .That point is without sustainable utilisation wildlife cannot survive.Humans are competing and they always win agsinst wildlife. While the bulk of the first world lives off agricultraly produced food huge tracts of african land and people have to survive off both the land and its wildife. By banning utilisation of wildlife we endanger it further. It is our responsability to ensure wildlife not only survives but becomes prolific enough to protect its own habitat. The only way to do this is to ensure wildlife generates revenue. or it must provide for the communiies who want its land. Communities in our province now enjoy schools, clinics ,hospitals ,educational loans .One of our local doctors had his surgical training paid for by a hunter.We have 51 orohan children 75 percent supported by safari hunting .Medical drugs .visiring surgeons and medical experts all covered by the wildlife people either hunt or utilise in meat. Find me an african tribesman who is a vegetarian by choice .! i agree many hunters need to clean up their act and my prayer us that we all do . Forget the battle focus on keeping wildlufe numbers so plentiful that africas people can both benefit financialy and nutritionaly. let us focus on that and let our end goal be protecting vast herds of the wildlifethst we all love. I have a lot of sympathy with you getting ‘gatvol’ with the antis. Feel so myself. Problem is that they keep on spreading the lie that we hunt to satisfy our bloodlust, that we hunt because we enjoy killing. We have to counter this lie.